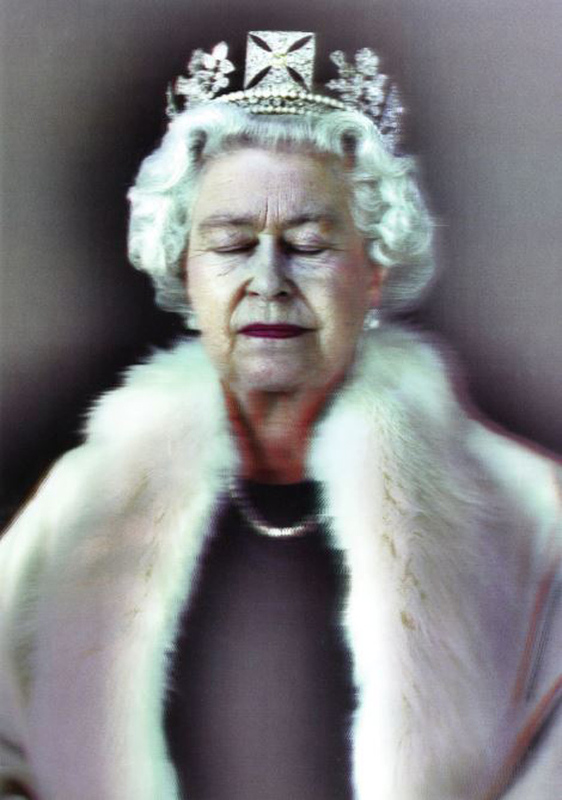 The queen with her eyes closed was described as a happy ‘accident’ by photographer Chris Levine (b.1960). He was commissioned to commemorate Jersey’s 800th year of allegiance to the crown in a holographic portrait, a process that involved a high-resolution digital camera which moved along a rail taking 200 images over eight seconds. The queen was required to sit still for eight seconds at a time, and between the passes she closed her eyes to rest. Levine was struck by the beauty of her meditative state and snapped the shutter. Estimated at £12,000-18,000, 'Lightness of Being' (2010), by Levine was knocked down at £20,000 at the March 20 auction. 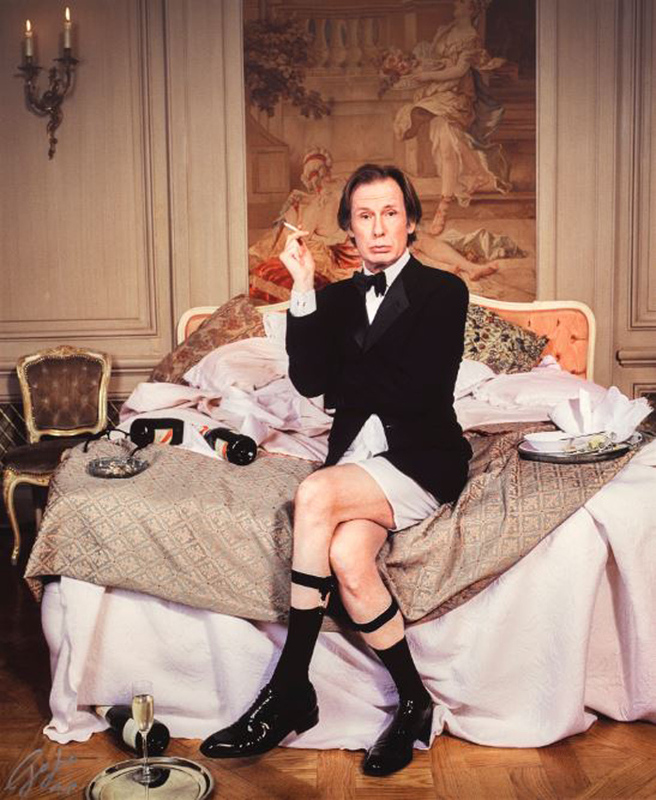 Bill Nighy 2005 by Lorenzo Agius (b.1962). Kate Moss, Descending, (2007) by film director, screenwriter and composer Mike Figgis (b. 1948) was filmed in a deserted mansion for part of four short films created in 2007 for the lingerie brand Agent Provocateur titled Miss X. The giclee print, signed and numbered AP 2/2 from an edition of 10, was estimated at £40,000-60,000 and sold at a hammer price of £55,000. Bill Nighy by Lorenzo Agius (b.1962) was taken in 2005. From an edition of 25 it sold at a hammer price of £3200 against a £2000-3000 estimate. To see the video and read more on these images see ATG's preview story.